Merry Christmas from downtown Austin and the Long Center. 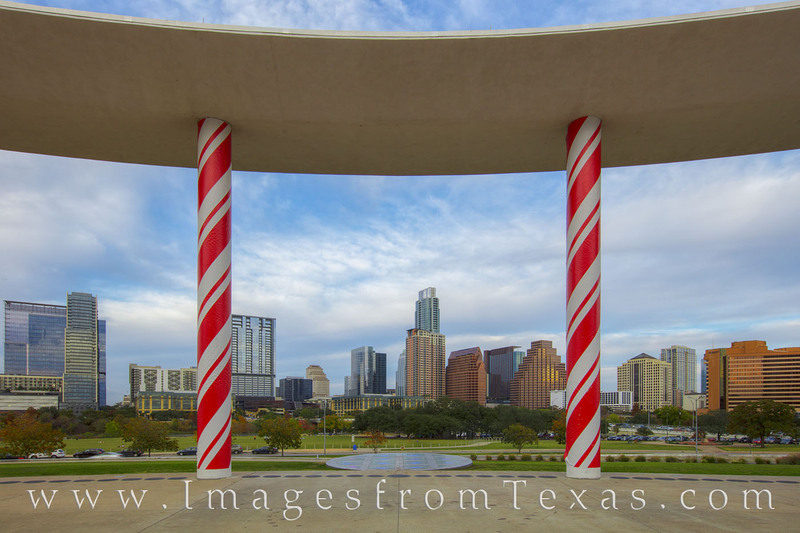 From this pavillion, candy cane columns frame the Austin skyline on a December evening. Photo © copyright by Rob Greebon.